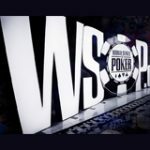 The WSOP 2012 Main Event had total of 6,598 players registered for the 43rd Annual World Series of Poker 2012 Main Event. The total prize pool adds up to a little less than last years event at $62,021,200, with a first place prize of $8,527,982. Notable players who have survived their first day include: Eric Baldwin, Vanessa Selbst, Shaun Deeb, Daniel Negreanu, Joe Cada, Johnny Chan, Doyle Brunson, Antonio Esfandiari, Phil Ivey and Brian Hastings. Some notable poker pros that have already been eliminated so far include: Phil Hellmuth, Joe Hachem, Tom Dwan, Chip Jett, Bertrand Grospellier, Greg Raymer, Justin Smith, Chino Rheem, Andrew Robl, Lex Veldhuis, Jonathan Duhamel and Chris Moneymaker. The World Series of Poker 2012 Main Event is currently underway, catch all the action from the 7-16 July 2012 at the Rio Casino in Las Vegas. The stage is set and thousands of players from around the World have traveled to Vegas for the Main Event. The WSOP 2011 Main Event attracted 6,865 players and a $64,540,858 prize pool, the 2011 WSOP Main Event winner Pius Heinz took home $8,715,638 for his first place prize and the most prestigious trophy in poker a WSOP bracelet. Day 1A of the 2012 WSOP Main Event saw 1066 players registering on the first starting day, play continued for 5 levels. Eliminated: Phil Hellmuth, Ray Romano, Greg Mueller, Allen Bari, Kathy Liebert, Matt Glantz, Frank Kassela, Raymond Rahme, Jim Bechtel and Joe Hachem. Survived: William John (266,700), Eric Baldwin (123,150), Filippo Candio (85,000), JJ Liu (78,800), Mike Sexton (15,200), and David Williams (9,100). Day 1B of the 2012 WSOP Main Event saw 2,114 players register for the second starting day. Eliminated: Tom Dwan, Chip Jett, Victor Ramdin, Joe Sebok, Todd Brunson, Bertrand Grospellier and Greg Raymer. 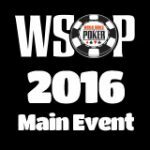 Day 1C of the 2012 WSOP Main Event had a larger player pool with 3,418 players registered. Eliminated: Jimmy Fricke, Justin Smith, Chino Rheem, Andrew Robl, Lex Veldhuis, Jonathan Duhamel and Chris Moneymaker. 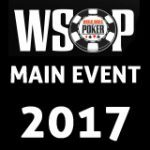 Survived: Randy Haddox (188,275), Joe Cada (117,375), Johnny Chan (82,300), Doyle Brunson (81,400), Antonio Esfandiari (78,925), Phil Ivey (11,525). The remaining players from Day 1A continued play for five levels, with about 900 players left at the end of the day. Eliminated: Justin Bonomo, Darvin Moon, Bryan Devonshire, David Williams, Mike Sexton Erik Seidel, Brian Rast, Isaac Haxton, Jeffrey Lisandro, Mike Matusow, Martin Staszko, Scott Seiver and Billy Baxter. Day 2C left about 900 players remaining who will join Day 2A/B players for Day 3. Eliminated: Matt Savage, Jennifer Tilly, Ted Forrest, Phil Ivey, Jeff Madsen, Jennifer Harman, Michael Mizrachi, Jamie Gold, Joe Cada, Doyle Brunson, Matt Affleck, Gus Hansen, Viktor Blom and Tom McEvoy. Survived: Sam Holden, Jake Cody, Joseph Cheong, Ben Lamb, Antonio Esfandiari, and Johnny Chan. Eliminated: John Racener, Vicky Coren, Barry Greenstein, Karina Jett, Eugene Katchalov, Brian Hastings, Peter Eastgate, Pius Heinz and Ben Lamb. Survived: Johnny Chan, Huck Seed, Vanessa Selbst, Jason Somerville, Maria Ho, Daniel Negreanu, Shaun Deeb and Antonio Esfandiari. 720 players start out on Day 4, the remaining 666 players will be in the money. The day ended with only 282 players remaining for Day 5. Eliminated: Jason Mercier, Liv Boeree, Antonio Esfandiari, Maria Ho, Shaun Deeb and Johnny Chan. Survived: Vanessa Selbst, John Juanda, Gavin Smith, Joseph Cheong, JP Kelly, Jason Somerville, Sam Holden and Daniel Negreanu. 282 players stared out on Day 5 playing five levels of play leaving 97 players advancing to Day 6. Survived: Vanessa Selbst, Jason Somerville, Sam Holden and Gavin Smith. 97 players continued play until only 27 players remain, these players will return for Day 7 and play down till the final nine. Eliminated: Vanessa Selbst, Jason Somerville, Sam Holden and Gavin Smith. Day 3 – Remaining players from Days 2A, 2B, and 2C will continue play on 12 July, 2012, 5 levels. Day 4 - play will continue on 13 July, 2012, and play 5 levels. Day 5 - play will continue on 14 July, 2012, and play 5 levels. Day 6 - play will continue on 15 July 15, 2012, and play 5 levels. Day 7 - play will continue on 16 July 16, 2012, and play continues until 9 players remain. The WSOP 2012 Main Event Final Table take place between 28-30 October, 2012. Due to the US Elections the dates for the final table have changed so there will be no November Nine this year. 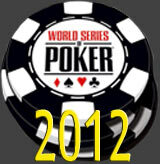 See the ESPN World Series of Poker 2012 TV Schedule for date and times or visit wsop.com.